iPeg is a new video format that enables "Transparent Background" and "Inline Auto Playback" in any browser. It works like a "Streaming gif". Easy to use! While very convenient, HTML5's <video> tag also has a few limits. First, it does not handle transparent pixels. This limits video form to rectangular shapes, and is unsuitable for rendering in layers with other elements on the web page. Also, there is a limit to "Inline and Auto Playback" on smartphones's browser. In Android the "Inline Playback" feature is available but the "Auto Playback" is not available yet. Because of this limitation, user is required to touch the screen to turn on the video content at the website header for the first view. In iOS version 9 and old ones, both of these features are unavailable. The video contents play only in full screen mode. Both of these features are available for browsers in PC. But as making websites by Responsive Web Design for all devices (Android, iOS and PC), developers have to write separated source code for each of platform. iPeg video format is a solution for these problems. With iPeg, the "Transparent Background" and "Inline Auto Playback" features can be enable by using only one source code for all platforms. 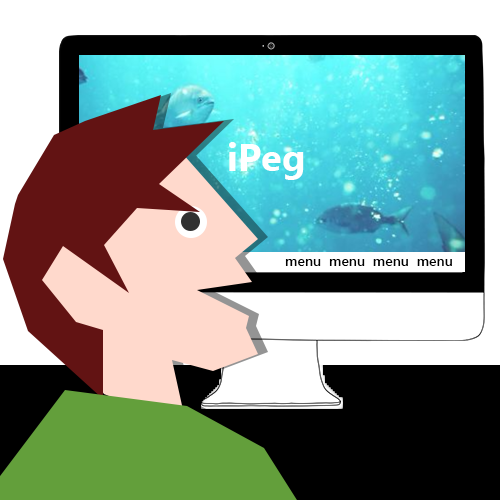 With iPeg you can make impressive websites. 1. Drop your video file into "Drop Video Here!" area and wait. Zip file will be downloaded automatically right after the encoding process is completed. The encoding process is available in browsers listed below. Supported original video format is H.264 (mp4). The encoded video has not audio track. On trial mode (when you are not logged in), encoded video length is limited to 10 seconds and a watermark is inserted. Your video file is not uploaded. The encoding process is implemented at local machine. 2. 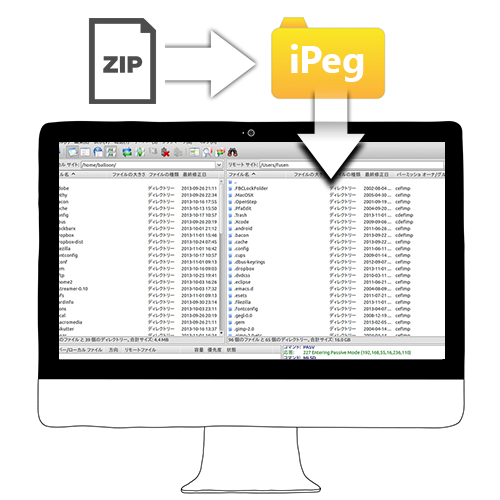 Extract the zip file, and upload the extracted folder to your server. You can rename the folder's name. 3. Copy and paste below source code into the place you want to insert the video. Replace all "/path/to/" codes by your files path. "video_dir" means the uploaded folder name on step 2 above. You can insert multiple videos. Just add <canvas _ipeg="/path/to/video_dir2"></canvas>. Don't need to import "ipeg.js" for the second and the subsequent ones. Feel free to style the <canvas> tag by CSS. By setting the "_ipegTransparent" attribute, you'll be able to carry out transparent background processing. By setting the attribute value to "@leftTop", the color of the pixel in the top left corner of the first frame will be selected as the background color. That color, along with its approximate colors, will be the target of transparency processing. The "@rightTop", "@leftBottom", and "@rightBottom" attribute values work similarly. You can also directly specify the pixel coordinates (e.g., "@10,20") or directly set the background color (e.g., "#63cb61") as well. The range of approximate colors can be set by inputting a space followed by a number between 0 and 255 after the attribute color (e.g., "@leftTop 55"). Default value is 32. 1 Ticket = 1 Video Encoding. Sign up. Only email address and password settings are required. After completing your registration, please login by your email address and password set above. After successful login, please click the "Buy tickets" button. Credit card payment of PayPal is available. After finishing the payment, please access this page again. Current ticket amounts should be displayed under the "Drop Video Here!" area. For the Unlimited mode, full length and no watermark video will be encoded. Buying more tickets, changing email address or password information, and deleting account are available anytime. If there is any error with the encoding process, please send us the report, we will reissue your ticket. Copyright 2016 Oosite. All Rights Reserved.